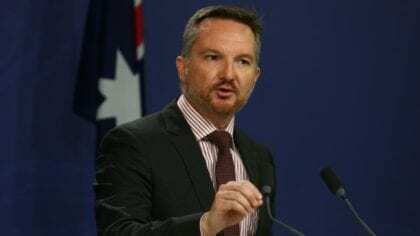 Shadow Treasurer of the Australian Labor Party, Chris Bowen who is the Opposition Minister for Government expenditure and revenue raising, delivered a speech to the progressive think tank PerCapita in Sydney on June 9th, expressing his resistance to the concept of a Universal Basic Income (UBI), despite the support within the Labor Party for such a policy. Bowen describes the UBI as a “terrible idea” and claims that the model would undermine the Labor Party principle of ensuring dignity through work in Australia. Bowen then makes another common argument against a UBI, that it delivers unnecessary payments to the wealthy. Following this line of thought, Bowen expresses support for means tested benefits where citizens can access welfare on a conditional basis, claiming that this would be a more cost-effective measure for alleviating poverty. This claim, however, is made without establishing his grounds for comparison. Bowen has also said that UBI could lead to a “savage cut” in people’s current benefits, namely pensions or disability allowances, and also that unsustainable tax rises would be necessary. These are reminders of two other common arguments against basic income: that UBI will demolish social security and that it cannot be financed (due to an unsustainable tax system). Meanwhile, the Australian Green Party support the consideration of a UBI in conjunction with a four-day work week. This proposal is consistent with the idea that a UBI is best implemented as part of a broader policy package that aims to address concerns such as inequality and the impact of technological change on working conditions. Roberta Stewart has written 5 articles. Here is My Idea… At least for the USA, but this system could really be implemented in any country. (Robots or not) The future is in our hands… + The Federal Reserve Bank Is a Private Secret Society! Make it “PUBLIC”! Note: The Fed & Treasury are already printing / creating money via, public debt, then selling & buying deals, guaranteed by the government and public through (Bonds & Taxes). Massive interest for the bank, out of thin air. My system is unique only in that it would not affect the current operation of business. At least for the time being, except for the 3 programs outlined below. + maybe a “voluntary” inmate & drug addict rehab program. This idea is not a fix all panacea or silver bullet but it would go a long way towards solving many of our social ills, & getting people off the streets, + extra income for everyone. Helping those at the lower end of the economic scale the most. + begin the process towards surplus & away from debt! THINK LONG TERM! The simpler we can keep this the better it will be. And the fewer conditions we add / the more likely it will ever happen at all! This Must Be A Standalone Program! Vote with your dollars! But don’t rob Peter to pay Paul! There is a better way! And everybody gets a slice! – A “Public” Federal Reserve Bank. Owned & Ran by the US Government. E.g. – US Treasury Department & Congress; Our House of Elected Representatives. With a “BASIC” (Created, or QE fund) for “The common man”! Not just the Corporations, Banks, and Wall Street. Thus, easing our massive income disparity! Tax, debt & interest free money. For A – (UBI), – (UBHC) & merit/aptitude based – (B, K-16) education grant. Would go a long way towards getting us out of this mess we are in & everyone would (have more money to spend). It would have to be completely independent of any & all other programs or entitlements except maybe a “voluntary” rehab program for incarcerated criminals & drug addicts who might want to make something better of their life. This could be managed by our Judicial & Medical institutions. The only other requirement would be US citizenship, Bar none… No strings attached! Rich/poor, young/old, working or not. (FREE MONEY FOR LIFE) to be used any way the person sees fit – A (Basic safety net / income supplement) for everyone! It would have to be scaled properly & generously enough, but not so much as to discourage our vocational aspirations. Or disincentives people still needing or wanting to seek work, & additional financial/economic gain. Plus, maybe a little extra for people who cannot work by no choice of their own. e.g. – age, handicap, poor health, special needs, etc… I think this or some version of this is coming! Whether we like it or not! But it’s going to take some, Bold New Leadership, Economic Creativity & Monetary Policies to get the program started! But start we must! 1. The Disabled would be eligible for an additional – $600. Per month. 2. Adults would receive – $1200. Per month. 3. Teens – $600. Per month. 4. Youth 12 & under – $300. Per month. • And a (UBHC) – Start with (Medicare for all) as a “Basic” plan with a sliding scale, low income, clinic option for the less fortunate. Then any supplemental private Insurance could be purchased at buyer’s discretion! Short, simple, sweet! & already in place! Don’t reinvent the wheel. Just grease it! Putting an enfaces on prevention & Cure. • A – (B, K-16) is self-explanatory. Merit/Aptitude based Education according to one’s own ability. Premise #1. We are not out of money! Nor will we ever be! Premise #2. We have to get rid of this lack minded mentality! And keep things constructive! Premise #3. It’s really not – “How can we afford it” – But… How can we afford not to! Too the rich… – Just give the damn dog his bone! & You get one too!